No zombie is entirely without scars or wounds because that is likely how the virus was transmitted. 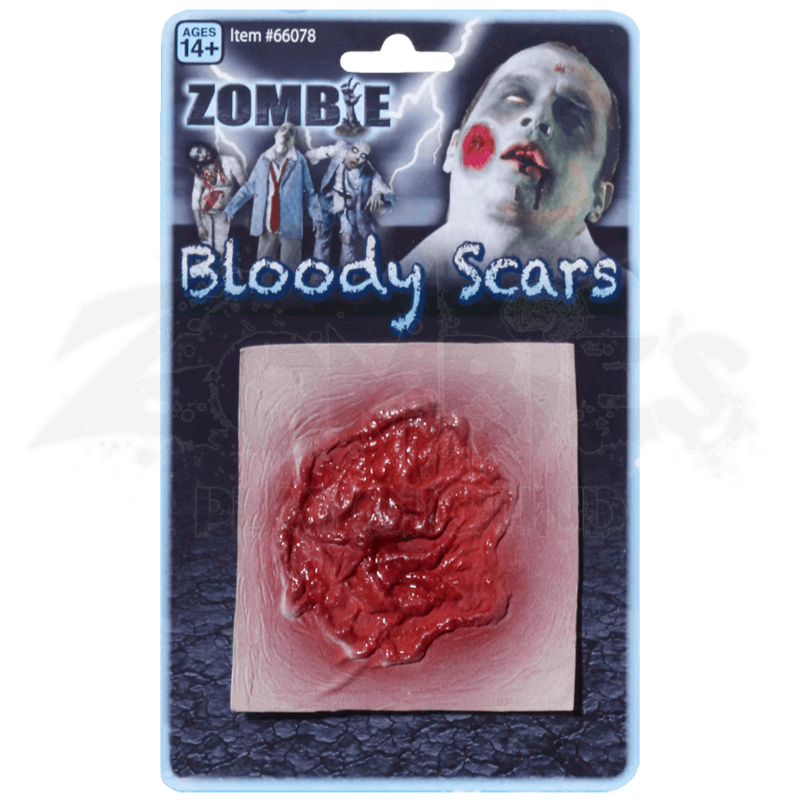 The Bloody Zombie Scar kit contains one impressive wound that can make you look like a more realistic zombie. This pack contains only a single scar or wound, but what an impressive wound it is. This wound is a classic zombie bite, the type that typically results in an individual becoming infected and turning, minutes or hours after the initial attack. This wound is made from latex and has been pre-painted to give it the appearance of pale human skin that has had a large bite taken out of it, leaving only rough, bloody tissue in a vaguely circular shape. Add this Bloody Zombie Scar to your look and suddenly, no one will wonder how it is you became a zombie. Or even better, add this scar to a survivor costume, so that you can suddenly turn whenever you choose and have the best of both worlds.